As amazing as wireless earbuds are, they can also come with a few design and function issues. For example, a great set can cost you a pretty penny — but still, come with fit problems that mean they'll drop out of your ear and be lost at a moment's notice. Still, others include vestigial parts — like a cord to connect the supposedly "wireless" earbuds or weak audio quality that can't possibly compare to their over-the-ear cousins. These FireFlies True Wireless Earbuds are truly and completely wireless, delivering powerful audio at a fair price. With an ergonomic fit that secures these buds solidly in place, you won't have to worry about these earbuds popping out, even during your most vigorous workouts. There's also no wires that get in the way and an impressive ten-hour battery so you can listen all day without recharging. Compare that to other models that only offer two to three hours of listening off a single charge — ten hours is enough to last you through a few workouts and a few delayed subway commutes. Best of all, these earbuds are affordable — so you can enjoy crisp audio without paying a fortune. 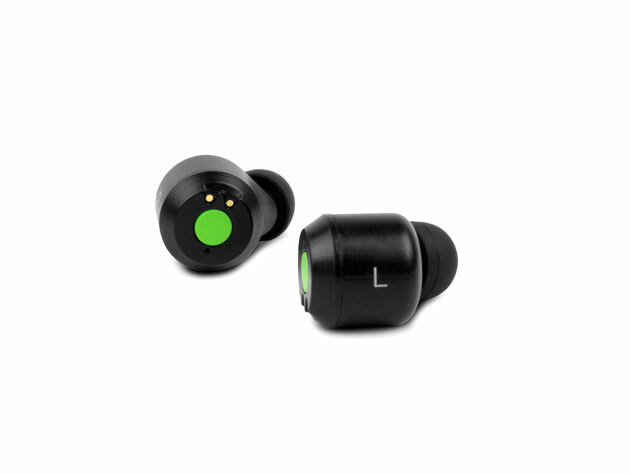 Usually these FireFlies True Wireless Earbuds are $149.99, we've had them for $74.99, but you can get them here for a special $54.99 price now.